Lochview B&B was built in 2011 by local couple DJ and Elaine Graham. The Chalet was built in 2014. 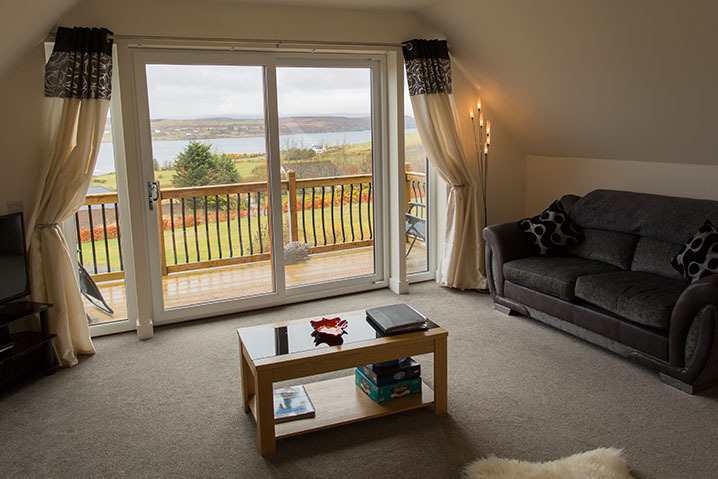 Lochview offers stunning views over Loch Snizort Beag and to The Cuillin beyond. 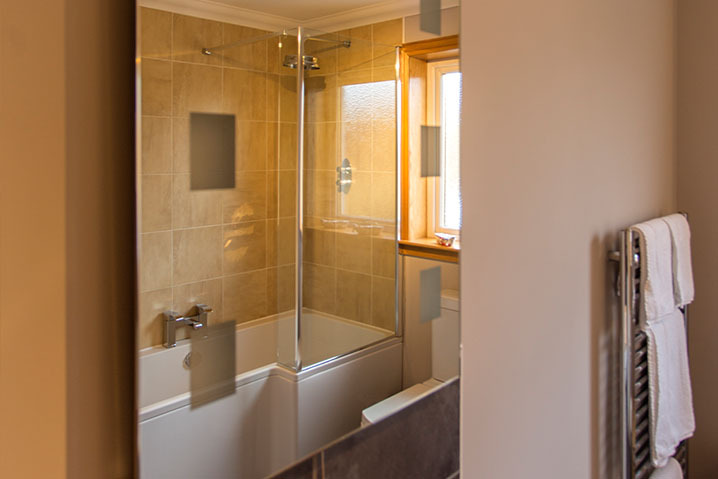 Lochview B&B offers offers two double bedrooms, all of which are en-suite. All are furnished to the highest standard. A continental breakfast is provided. All rooms are equipped with Flatscreen TVs, tea and coffee making facilities, radio alarm clock and hairdryers. Free Wi-Fi is also available. Lochview Chalet caters for between 2 to 4 persons. 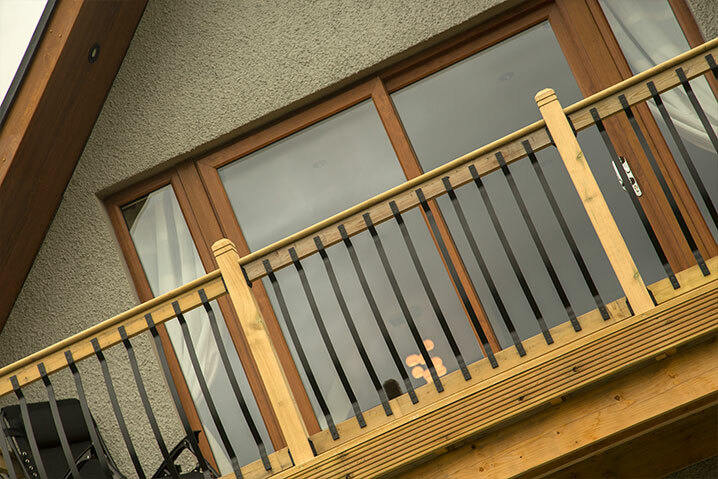 The Chalet is finished to a very high standard. It offers – Open Plan Living Area, fully Fitted Kitchen/Dining Area and a Large Luxury Bedroom with En-suite facilities. Lochview Chalet also has a Sofa Bed in the living area which may accommodate 2 children or one adult. Lochview, in the quiet village of Kensaleyre, is the ideal base to explore the north and west of Skye. Kensaleyre is situated some seven miles from Potree the main town on the island and 8 miles from Uig, the Western Isles ferry terminal, making it a perfect location for exploring this part of the island. Some of Skye’s most iconic locations such as Dunvegan Castle, Kilmuir Museam of Island Life, Talisker Distillery and the award winning Three Chimneys restaurant are all within half an hour (by car) from Lochview. Double Room with continental breakfast – from £40.00 per person [Minimum of 2 nights June – August]. Single Occupancy with continental breakfast – from £65.00 per room [Minimum of 2 nights June – August]. For the comfort and safety of all guests we do not permit smoking in any of our premises. Please check in between 4pm and 9pm. (earlier or later times can be accommodated by prior arrangement). Unfortunately we cannot accept credit or debit cards.